Pure Greek Tradition. Pure Source of Life. The Olive Connection is a family business dedicated to producing premium quality extra-virgin olive oil and other olive products through traditional Greek practices. The result of our labor is a high-quality olive oil produced from the first cold-press of a single source of Greek Koroneiki-variety olives - 100% natural olive oil free from chemicals, additives or any processing. Why is this important? Because we create what we know to be a healing food and elixir: authentic extra-virgin olive oil. For three generations, the Kouskoulas family of Greece has made extra-virgin olive oil our tradition and passion first, and family business second. We grow olive trees on our private groves in the fertile plain of Messinia, just outside of the city of Kalamata, on the Southwestern Peloponnese in Greece. This area has a long tradition of producing high quality olive oil with low acidity - a prized value of extra-virgin olive oil. The Kouskoulas family's experience cultivating olives and their resulting olive oil has been passed from one generation to the other. Our approach has been to respect nature and the traditional values of olive oil production, including hand-crafting and manual labor-based techniques - treating our business like a family passion first, and business second. For decades, our olive oil was shared exclusively between family and friends across Europe, the United States and Australia. Encouraged by their enthusiastic response to the superb taste and quality of our olive oil, Andreas - a third generation Kouskoulas olive grove farmer and olive oil craftsman - decided it was time to share our fruit with the rest of the world. 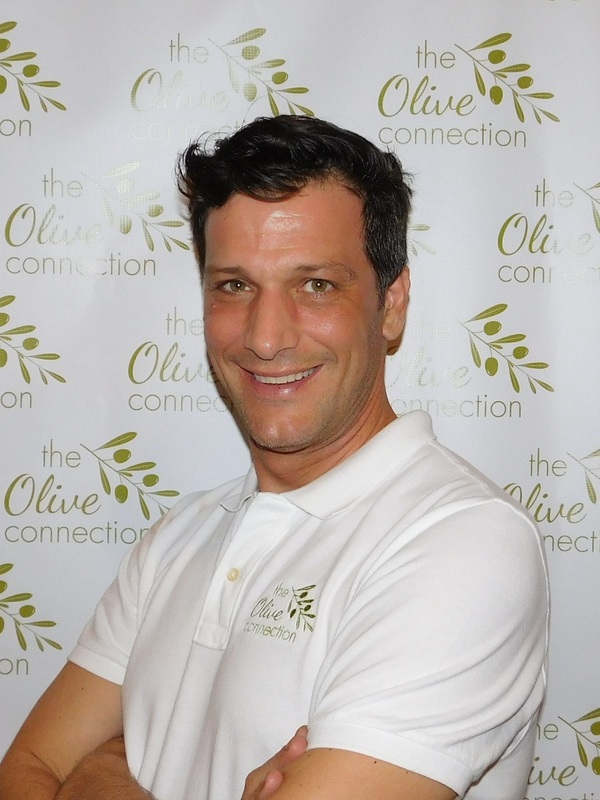 The couple founded The Olive Connection and Andreas relocated Florida, to allow for efficiencies in introducing The Olive Connection to the United States. While his wife Natalie is managing their local setup in Greece, Andreas still travels to Greece on multiple occasions annually, including for the annual olive harvest, where both actively participate in the selection and production of their olive oil. Our vision for The Olive Connection is to extend the treasures of Greece’s soil throughout the world. By creating and promoting authentic Greek products made by small, local producers that value authenticity and environmental protection, we preserve production techniques based on ancient Greek wisdom - and ultimately share those gifts with our customers across the world. We pride ourselves in producing premium quality extra virgin olive oil for the world to benefit from - but not at the expense of the environment or of product quality. Cultivating and sustaining the wildlife in our grove is paramount - so we practice low-intensity production. We plant new trees, recycle dead and decaying wood and protect a range of feeding and nesting habitats by keeping our groves and production process free from chemicals or pesticides. How do we deal with pests and insects? We don’t. We leave insect control to their natural predators. Copyright by The Olive Connection 2015. Registered Trademark. All rights reserved.